"We Time" vlog arose from my desire to have spontaneous, fun and casual conversations with people all around me about everyday living and things that matter to us. I invite folks to spend a little time with me talking about our processes living creative, reflective, imperfectly perfect lives. We talk about culture, relationships, food, yoga and meditation, community, collaboration and whatever else comes up - like avocado toast, making rubber stamps, and salami chocolate. Have you ever felt lonely, overwhelmed, burnt out or lost? As a straight-down-the-middle introvert/extrovert, I spent a lot of time between 2013 and 2016 heavily weighing in on the introvert side. I've had a lot of "ME" time and now need "We" time! For reasons within and beyond my control I slipped into a state of huge anxiety mixed with depression in the summer of 2017. Despite, and likely because of, my yoga practice and study, I broke all apart as I awoke to the stress of perfectionism, denial and self-doubt I carried around with me. I slept a lot. When I was out and people would say, "How's it going?" or "What are you up to today?" I often couldn't speak without starting to cry. To my pleasure and RELIEF, what I found was a lot of super supportive and kind people willing to share their stories with me too. I had that experience of "you don't have to look far to find what you are looking for." After seriously losing perspective, I re-discovered that all it took to feel connected was to open up to the people all around me. Recently, I saw a Rumi quote I had written down in a book a few years ago - "... that wanting IS the connection." I wanted to share with others one way I feel happy and create some fun connecting with other people - simply spending a little time together talking. 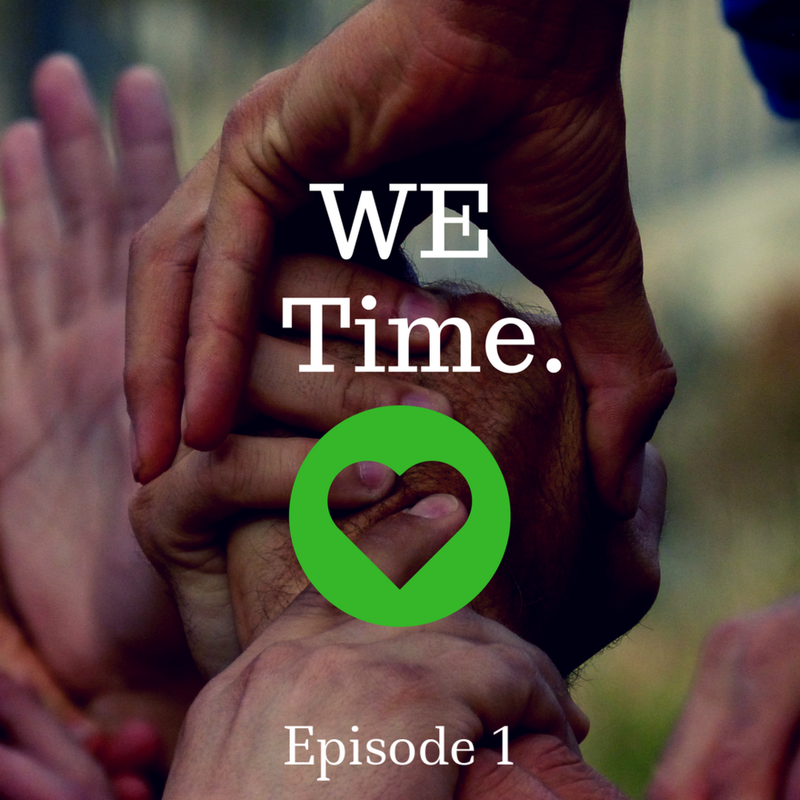 I began recording WE Time with my friend Angie and plan to continue in order to continue and offer that experience of connection, appreciation, abundance, and collaboration. I hope to inspire others who might feel separate, sad, struggling or lost.